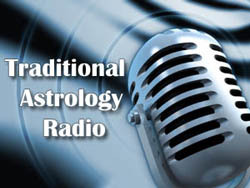 This is just a quick announcement to let subscribers to Traditional Astrology Radio know that the show has moved, and I’m now recording new episodes for another podcast I started called The Astrology Podcast. 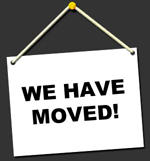 The reason for the move is that the domain name TheAstrologyPodcast.com became available suddenly in June of 2012, and I purchased it and set up a new show in hopes of appealing to a wider audience than just traditional astrologers. While traditional astrology is still my main focus and interest, and many of the episodes of the new podcast have focused on themes related to it, I sometimes felt a bit restrained by the need to only talk about traditional concepts within the context of this show, due to the name. Additionally, I felt like with Traditional Astrology Radio I ran the risk of just “preaching to the choir,” whereas if I had more of a general astrology-themed show then my potential audience would be much broader. The idea was that once I developed a broader audience that I could slip in some traditional topics and discussions from time to time, in a way that makes it so that more modern astrologers would become interested in learning about the tradition in the long run. So far the new podcast is going really well, and I’m up to the 20th episode. That isn’t a lot of episodes since I’ve been doing it for 2 years now, but I’ve been getting better at releasing one or two a month, which is a pretty reasonable pace that may increase as the number of listeners continues to grow. One thing that you will notice is that the production value of the new show has increased substantially compared to episodes of Traditional Astrology Radio, since I got some better equipment, as well as more experience in recording techniques. The end result is a significantly improved listening experience. So, please visit the website of the new show and listen to some of the episodes at TheAstrologyPodcast.com. If you would like to subscribe to receive an email each time a new episode is available you can do so on the subscription page. Or you can subscribe to the show through our page on iTunes. You can also follow our pages on Facebook or on Twitter in order to get notifications about the show there as well. 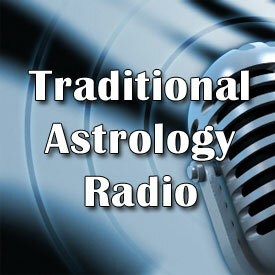 This is the new website for Traditional Astrology Radio. Here I will post additional information about the show, such as transcripts, information about upcoming interviews, and a full archive of previous interviews. If you want to received a notice when there is a new post here then you should subscribe for email notifications.